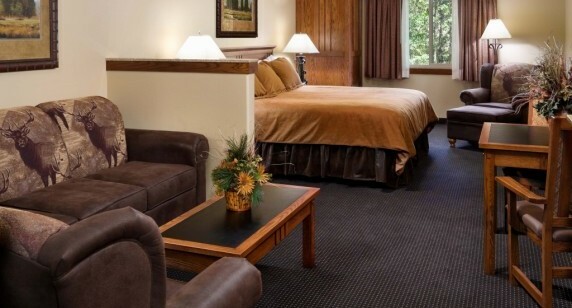 Plan your next relaxing getaway at Creekside Lodge. This charming lodge was built in 2008 and offers modern, oversized lodge rooms with a woodsy aesthetic near the historic State Game Lodge. Creekside Lodge is open year-round, guaranteeing summer fun and winter adventures. Our newest lodge, Creekside Lodge was built in 2008 and offers modern, oversized lodge rooms with a woodsy aesthetic near the historic State Game Lodge. Creekside Lodge is open year-round for adventures in any season. Creekside Lodge is located on Route 16A on the grounds of the State Game Lodge. Built in 2008, Creekside Lodge offers 30 luxurious and spacious lodge rooms close to the historic State Game Lodge and its amenities. 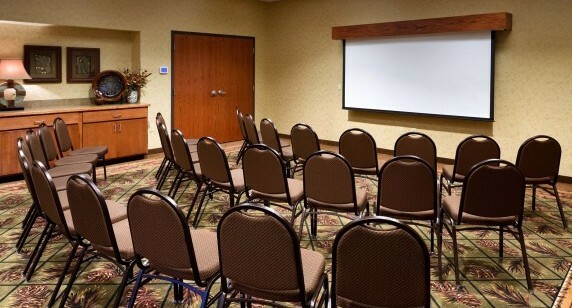 Our indoor meeting spaces are modern, have a built-in sound system, and can accommodate groups of 12--75. See how we can help you make the most out of your Custer State Park experience.